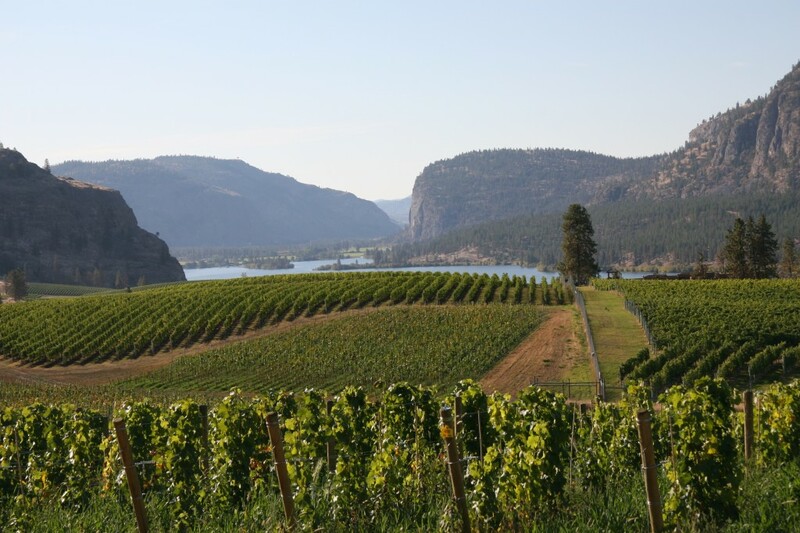 Lake Breeze Winery in Naramata recently announced support for the South Okanagan Similkameen Conservation Program or SOSCP. “The vineyard is the foundation of our business. We all see our local landscape changing and we hear about disappearing habitat and water issues. We felt it was important to support conservation in our area and donating our tasting fees is an easy way to do that,” commented Lake Breeze General Manager Launa Maundrell. There are many examples of wineries using inspiration from nature for their names, such as Quail’s Gate, Silver Sage, Black Widow, and of course Burrowing Owl. Jim and Midge Wyse and their family at Burrowing Owl Estate Winery have provided many years of support for the Burrowing Owl Conservation Society. As corporate sponsors they help the society with funding for owl captive breeding, field work and monitoring owls released into the wild. Jim Wyse is now Director of the Burrowing Owl Conservation Society. Nk’Mip Cellars has supported research on another species at risk—the Western Rattlesnake, through their support of a rattlesnake research project at Nk’Mip Desert Cultural Centre. Partnerships between conservation organizations and wineries can involve donations or focus on environmental stewardship. Kenn and Sandra Oldfield, owners of Tinhorn Creek Winery south of Oliver, have undertaken antelope-brush habitat restoration, snake fencing, and invasive weed management as Conservation Partners with the South Okanagan Stewardship Program managed by The Land Conservancy. “As farmers we are stewards of the land. This means the natural areas around our farms, as well as the vineyards that give us the wine,” said Kenn Oldfield. The wine industry already markets the region’s natural beauty. Supporting conservation is a way of celebrating and sustaining the unique wildlife and natural areas of this region—it’s a natural partnership.